Armpit to armpit is 14.5". Freshly laundered. River Island Maxi Dress Size 8 worn once like new condition. Please check out my other items in am having a clear out and I'm happy to combine postage. All my items come from a smoke and pet free home. Kick split to back of skirt. 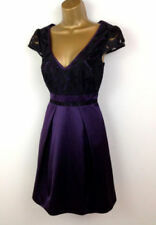 The dress is made from lovely quality black viscose fabric which has a little bit of stretch in it. Straight cut to skirt. Square neckline. Lovely white button detail to neckline too. 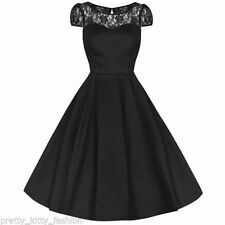 WOMENS EX MARKS AND SPENCERS BLACK Taffeta Cap Sleeve Skater Midi Dress RRP £65. 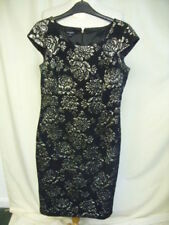 Kaliko black floral chiffon tea dress, ruffle sleeves - size 16 - stunning!